Valentine’s Day is an occasion that can be viewed from many different angles and thus celebrated in a number of ways. 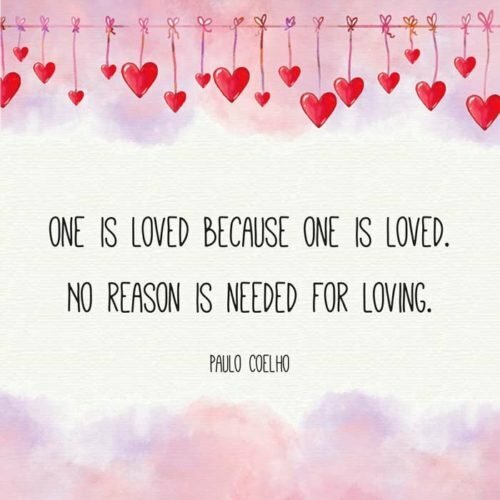 Below you will find some quotes (original and famous alike) for personal use or to impart on others for inspiration to enjoy this February 14th. May Cupid have you smiling from ear-to-ear during this blessed Valentine’s Day. I implore you to go all out, empty your bank account and make your sweetheart happy today. No matter how hard your partner may be to please, know that you will reap great benefits by successfully doing so on Valentine’s Day! This is the first Valentine’s Day with your newfound love, and I hope the two of you will be celebrating this occasion together for many more years to come. Whether you like basketball or soap operas, chocolate or broccoli, I hope you and your honeybun find a middle ground and enjoy this beautiful day equally together. May the sight of your sweetheart be all the inspiration you need to get it on this special day of the year. This is a chilly yet lovely February, and I hope you get to spend the 14th nuzzled in the warm embrace of your loved one. I know that depression is real, but this I must say – don’t chase Cupid away this February 14th! If no one buys you a box of chocolates this February, may you be blessed with the self-love to go out and buy one for yourself! May your Val’s Day be so sweet that you and your sweetheart decide to spend it in a dentist’s office. Even if you don’t have a significant other to spend this special celebration with, your mother, sister or female friends would surely appreciate hearing from you. The true meaning of Valentine’s Day has been lost behind the spirit of materialism. But that being said, I hope you still enjoy it with the person you love. May you experience an unexpected yet pleasant visitation from an interesting person during this Valentine season. May your Val’s Day be completely stress-free, as if you were gliding on the wings of Cupid! Flowery gifts and chocolaty dates don’t define the Feast of Saint Valentine. In other words, anyone can benefit from receiving your lovely smile. May Cupid shoot a homing arrow with you being the target it’s locked on during the Feast of Saint Valentine. The heart is not for Valentine’s Day but rather Valentine’s Day for the heart. I’m not looking for any gifts this February 14th. Instead genuine wishes of wellbeing will suffice to make it a holiday. If you don’t have anyone you love to spend this glorious day with, then get drunk enough until you find someone that you do! May all haters of Valentine’s Day walk away this year with a renewed understanding of why this time of the year is so highly anticipated and appreciated! Everybody loves somebody. And if you don’t have a date today, I hope you find the heart to tell that person how much you care. If there’s one thing society can agree on, it’s that everyone needs someone to love. Whatever transpires on this lovely day, I hope it leaves you smiling from now ’til the end of the month! If you’re one of those people who look forward to Val’s Day with anticipation, then I hope during this year, you won’t be disappointed. May you and your spouse have the most-loving Saint Valentine’s Day ever. May your heart lead you to love, and may love lead you directly to me. The trials and errors of romance have brought us to this day, where we get to display the love we have mastered throughout the years. I hope you experience a Valentine’s Day where you are fearless and free to love as you see fit. I will give my all to make sure this Feast of Saint Valentine is the best one you have ever experienced. 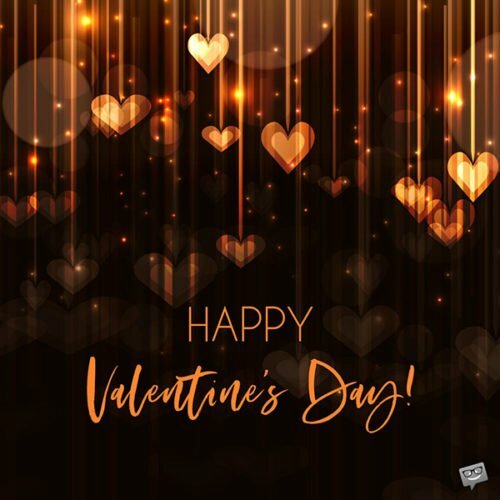 Whether dancing the night away or at home with a pizza, I hope you get to spend this incredibly lovely day with the one you love. The cards, candies and other gifts we receive on February 14th are just representations of the intangible love that lives in our hearts. The cold of Winter is coming to an end, and the freshness of Spring is upon us. What better time is there to celebrate love? No matter where you are or who is in your company, there is someone bound to welcome a shoutout from you today. Saint Valentine’s Day is not about the composition of beautiful words but rather the expressions of an affectionate heart. 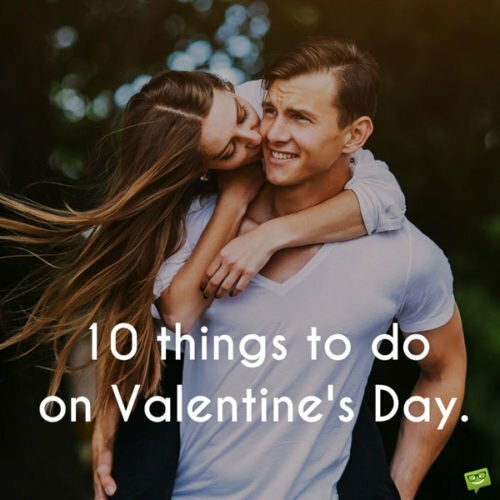 Even if the Feast of Saint Valentine were outlawed tomorrow, people would just designate a different time of the year to honoring love, just as they have before the holiday existed. My only mission today is to bring a smile to the faces of all of my friends. I love you now, today, tomorrow, the day after tomorrow and forever. I don’t know if this 14th day of February will bring me success or failure, but I do know I’m not afraid to take the chance! I can’t think of any elaborate words to tell you, only that you have the best Feast of Saint Valentine ever. If observing Valentine’s Day is a chore, then it must be the sweetest work in the world. May every emotional pain you are going through be righted during this Valentine’s season. 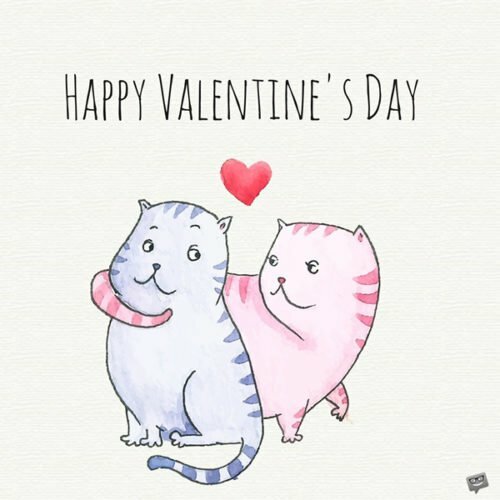 I’m not a big practitioner of Valentine’s Day but still wish that you have a very-joyous day if it’s your thing. The year has started off beautifully, and nothing would cap off its arrival more properly than a wonderful Feast of Saint Valentine! 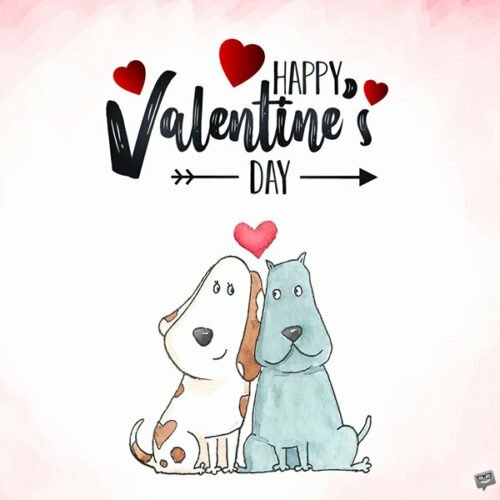 Who is going to have a better Valentine’s season – the one who thinks about it positively or the one who approaches it with pessimism? This special day is God’s way of telling you He loves you more than you can ever imagine.